I don’t know about you but this was an important food milestone in my world. Oreos have been a constant in my life. Many, many…too many to even count…things have come & gone & changed. On tearful evenings of regret, cold heartless winters, summers so hot I cursed the sun, when changes occurred in my life that tore my heart apart, whenever I needed just a little lonely comfort the sweet little Oreo has been there for me. When my girls were small we would joyfully eat little piles of Oreos in the only way there is to eat them….twisting them apart, eating the white filling, then the cookie. There are nights I remove a couple of Oreos from the package quietly & stand looking out the kitchen window into the dark savoring every comforting bite. When this sweet little comfort cookie turned 100 this week, for me, it was something to celebrate. 1. Process 12 Oreos in a food processor until finely crushed. Add in almond meal & sugar. Process until well blended. Add pieces of butter to processor. Pulse until well mixed. Drizzle in a bit of cold water if needed until a dough forms. 2. 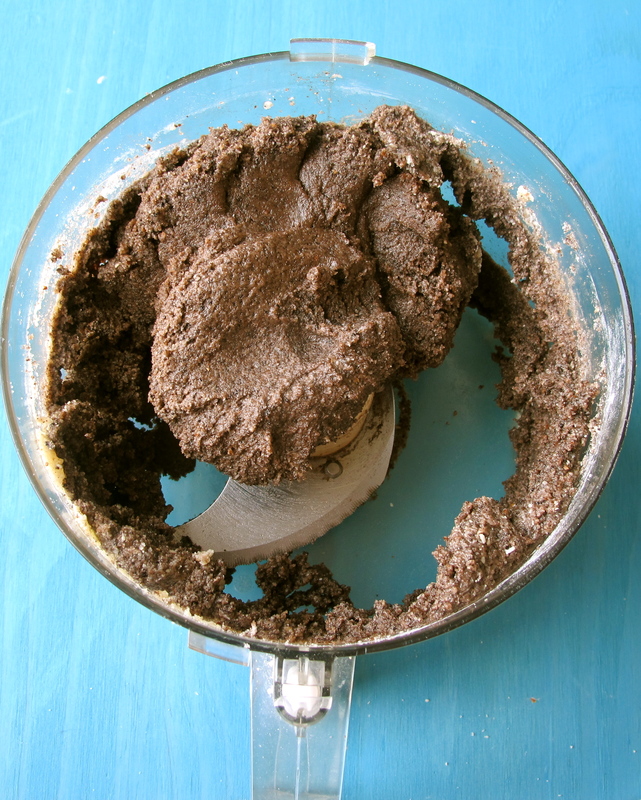 Remove dough from processor bowl. Form mixture into two equal size dough balls. Flatten each slightly, wrap in plastic wrap. Put one in the freezer for later use & the other in the refrigerator to chill for about 15 minutes. Meanwhile preheat oven to 325 degrees. 3. When dough is chilled using fingers press into bottom & up side of a springform pan about 1 inch high all around. Dough will be thick, but this is how it is supposed to be. Butter one side of a sheet of foil & fit butter side down into uncooked crust. Fill with dried beans or pie weights. Bake crust for 15 minutes. Remove foil with weights. Bake another 10 minutes. Remove baked crust from oven. 1. 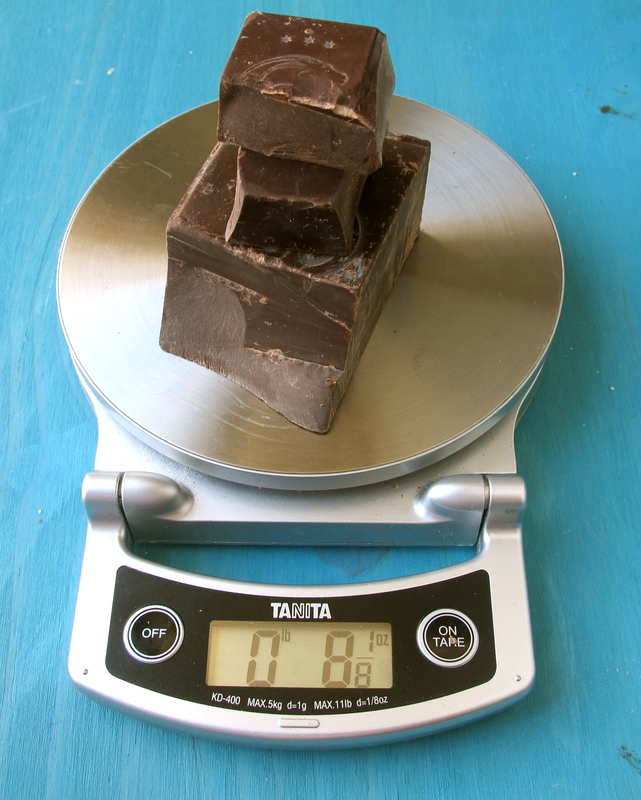 Chop 8 ounces of semisweet chocolate into small pieces. Place in a mixing bowl. 2. Heat milk-cream mixture over medium high heat just until it starts to bubble around edges. Pour over chopped chocolate in the bowl. 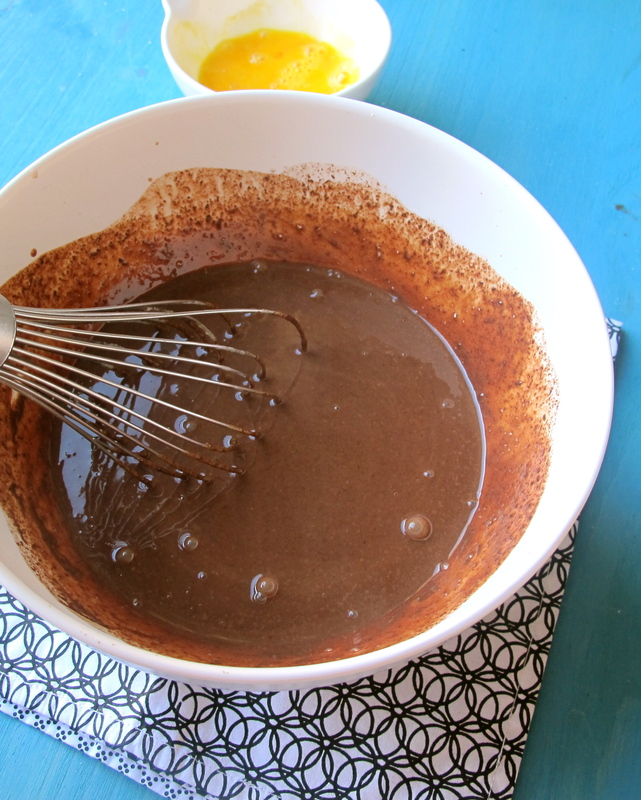 Let sit for a few minutes & then whisk together well until all pieces of chocolate are totally melted. Let chocolate mixture cool for about 10-12 minutes. 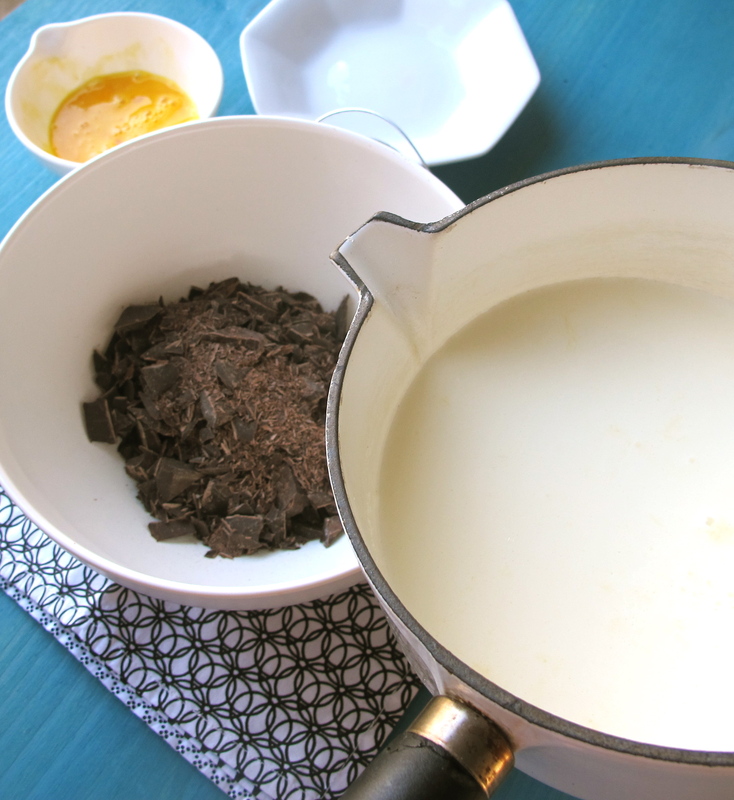 Whisking vigorously add beaten egg to chocolate mixture until well blended. 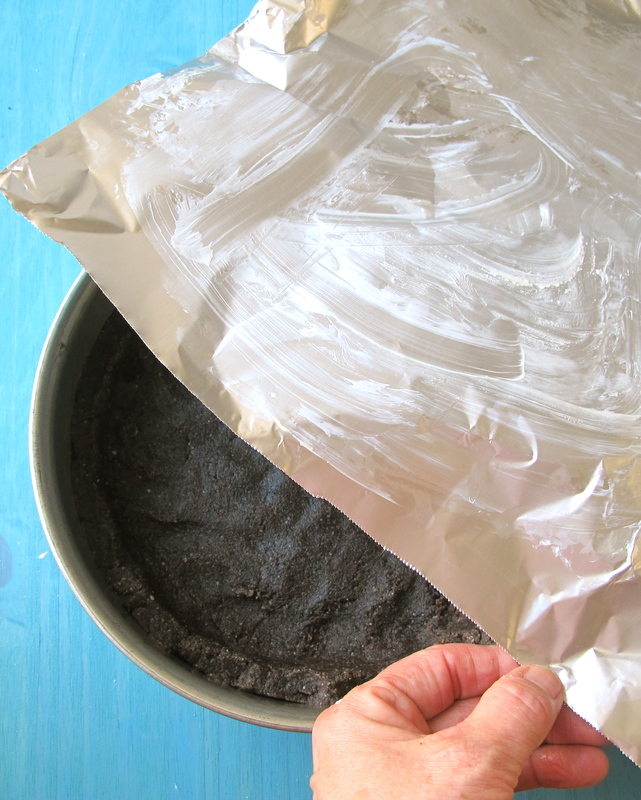 Pour into baked Oreo-Almond pie crust. 3. Bake tart for 25 minutes at 325 degrees. Edges will be set, but center will still be jiggly. Remove from oven to cool for at least 45 minutes to 1 hour on a wire rack. 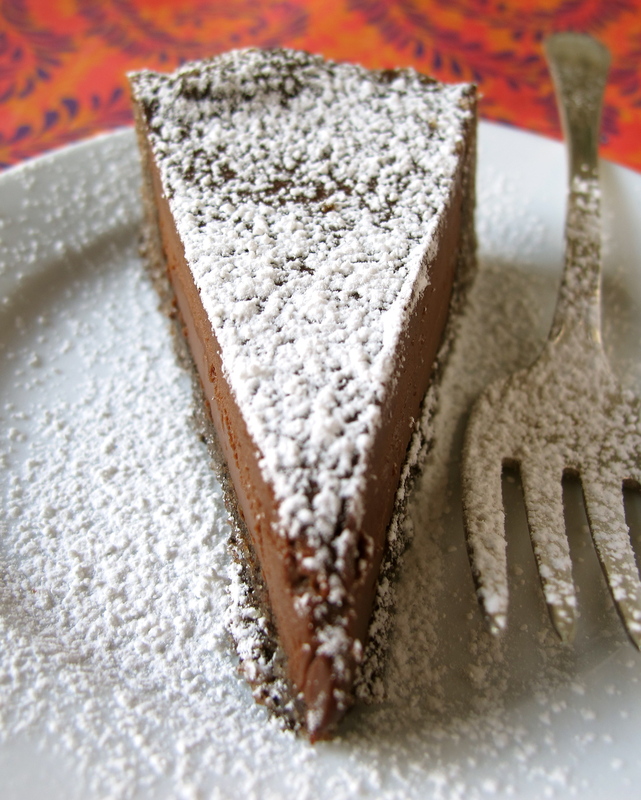 This tart is delicious eaten still warm with the center somewhat pudding-like. 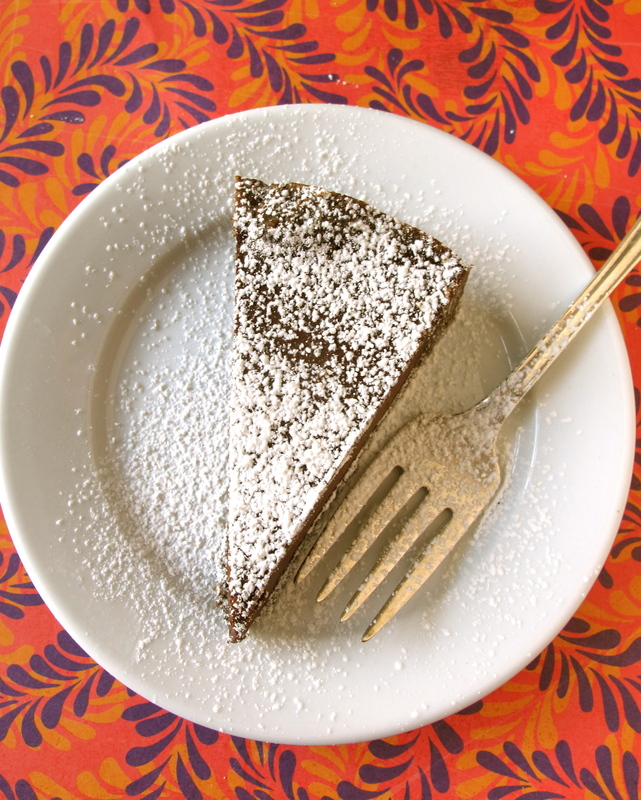 The soft filling is a perfect foil for the somewhat crisp Oreo-Almond crust. 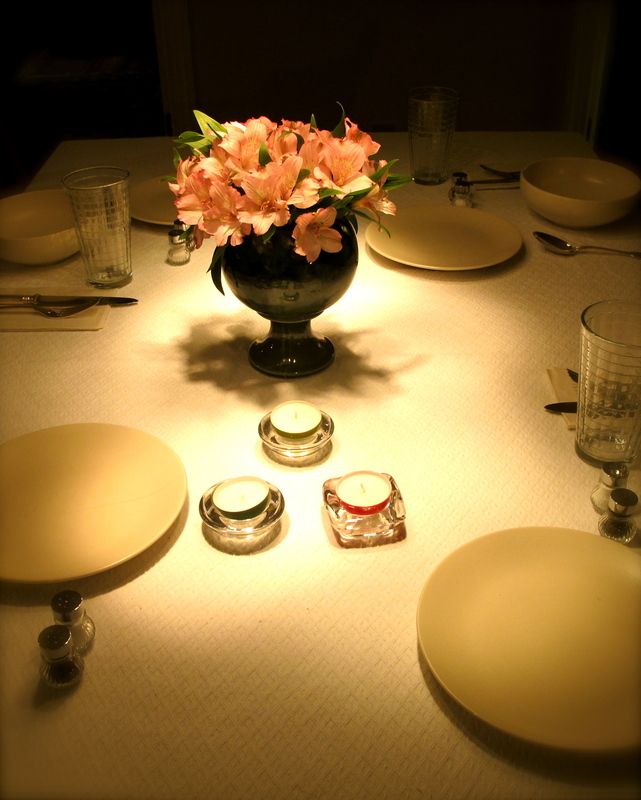 Our very special, long-time friends, John and Liz Shenk, invited us for a quiet Saturday evening dinner at their house. In so many ways when we get together it is a celebration. A celebration of good food, wine, conversation, stories, and long-time friendship. This “Happy 100th Birthday Sweet Little Oreo” Tart was just part of a special evening. Beautiful flowers and glowing light. 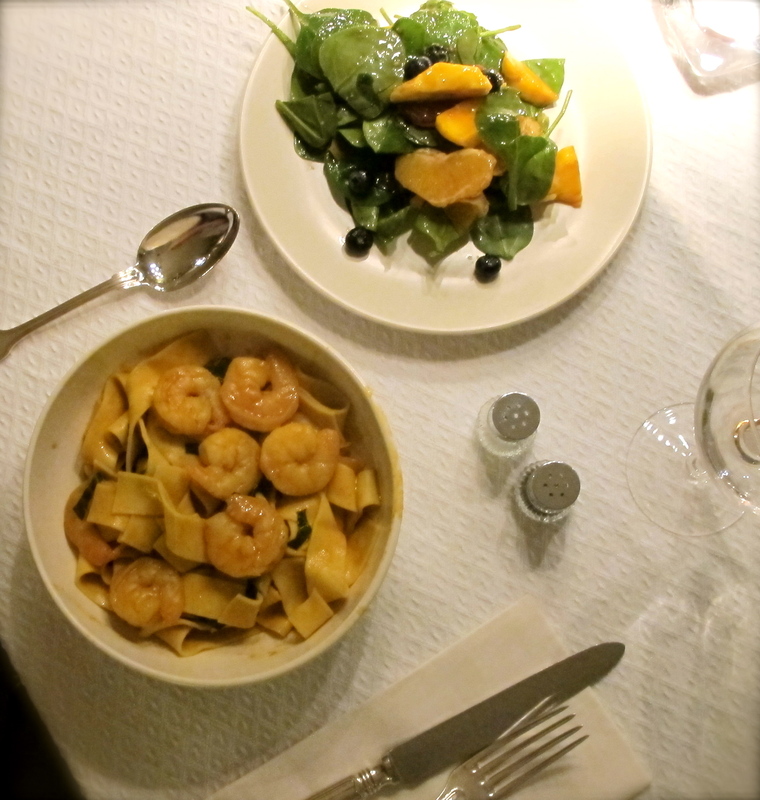 Papparadelle, Shrimp cooked in coconut milk…a salad of mango, blood oranges & spinach. There are always a few good apps before dinner. How do you eat Oreos? Do you have another method? 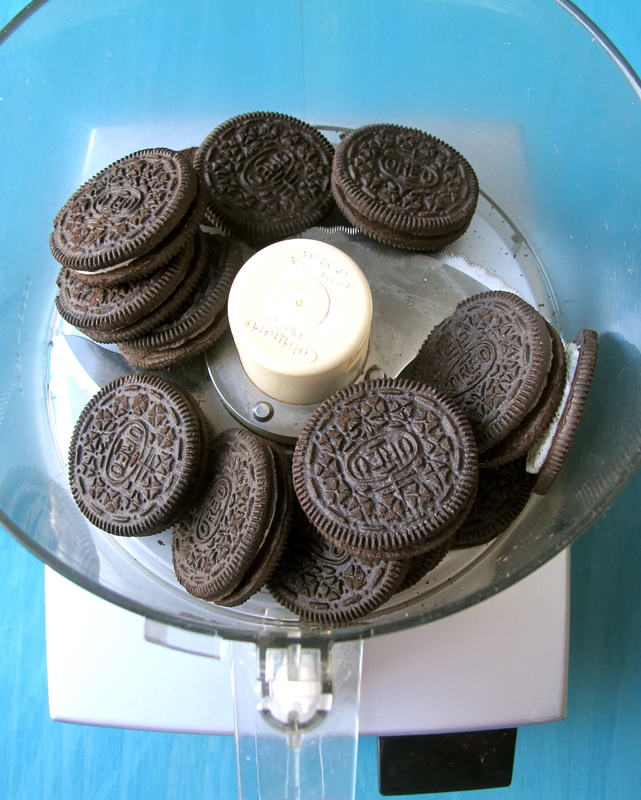 Have you ever used Oreos as an ingredient? How would you use them? OMG, I want that tart right now AND what a beautiful dinner Liz made, lucky you! Let me know and I will make one for you little pea. The oreo burns in all of our memories doesn’t it? That cake looks lovely and if that is what your brought to your dinner, they are lucky friends. 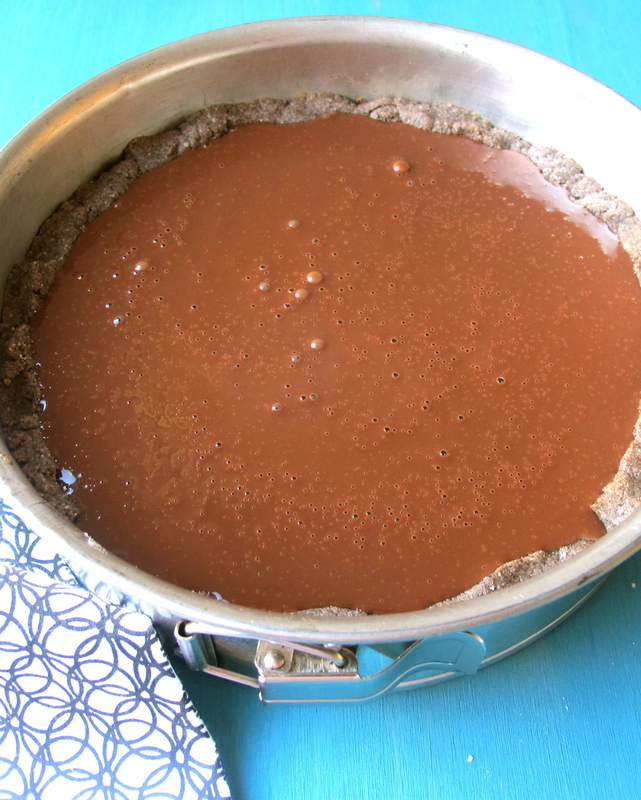 My favorite cookie is a centenarian — I’ve used Oreo pie crust with Jell-O bake n serve chocolate pudding for a easy, quick & less sinful dessert. Used the same crust for triple chocolate cheesecake. I love it Teresa!!!! YOu are so clever with your words and your photos are really great too! I love dunking Oreos in milk and maybe even letting one just sink to the bottom to get all mushy to enjoy at the end. Love it!!! That is a great way to eat this little cookie…I must try it! Thanks so much for stopping by and leaving a comment. It means a lot to me when my loved ones do that! My dear friend Teresa…..this might be the most enticing of all of your postings. I just made my grocery list for in the morning and I cant wait to make this! 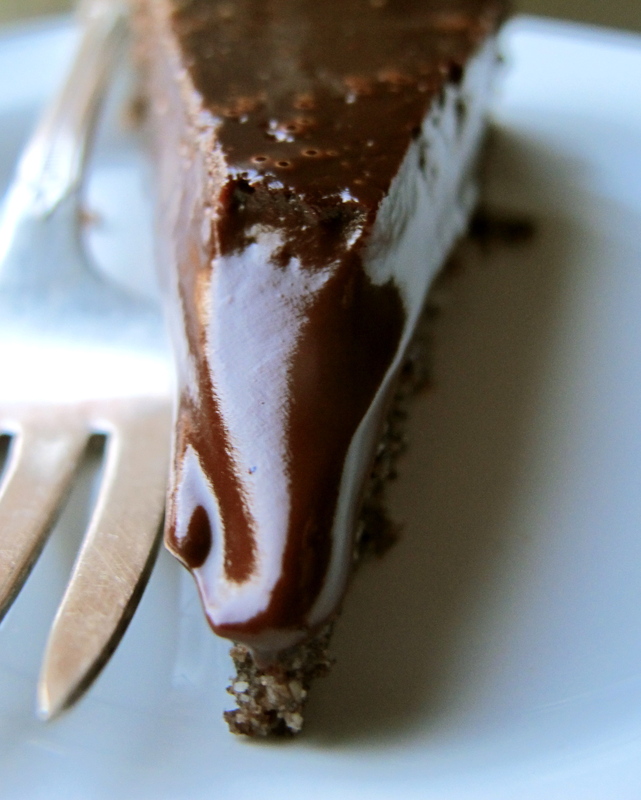 The shot of the tip of the slice just makes me melt. Lucky for Billy his birthday is tomorrow and now he will be getting this! genius! Genius to use oreos as the crust! I’m in love! Very cool idea for the crust. This sounds just perfect. I grew up loving oreos and still do to this day. But I don’t keep them around at home, since an entire package tends to disappear quickly. 😉 Delicious looking tart! That is one beautiful tart, Teresa! I can just imagine the self control you must have exerted to not eat the Oreos whole as opposed to baking with them! I would have trouble with that, haha. Thanks for sharing. You have a great blog and I’m glad to have found you! when can WE have oreo tart? i love oreos, i love you, and i think i’m 100 yrs old so WHEN???? Thanks so much. I am very honored! Wow, you make Oreos gourmet. Not that I’m surprised! and now i want an oreo…. ….i’ve actually been meaning to use them as a crust for a stilton cheesecake which I’m gonna serve with some sort of beef. i adore your tart though 🙂 bookmarking, obviously. 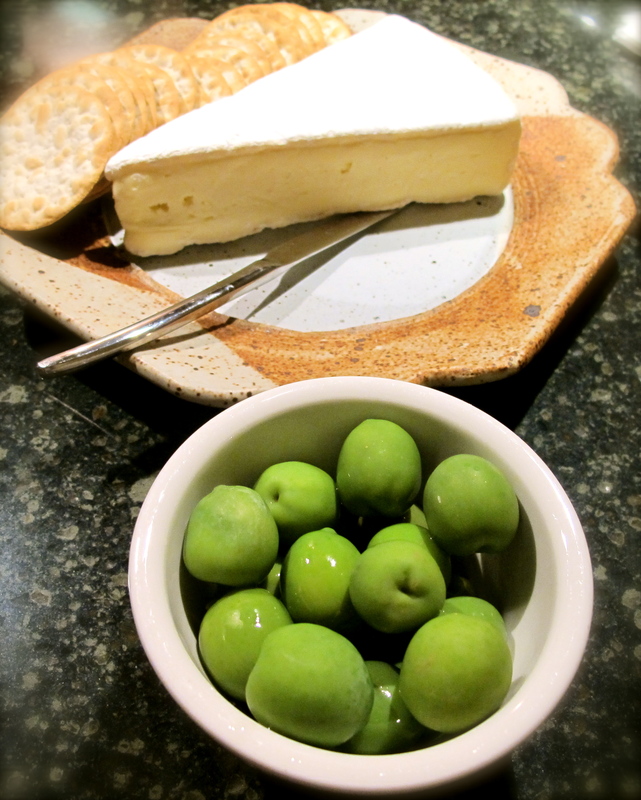 Whoa….with a stilton cheesecake sounds wicked! Do it! Oreos make a great crust and you pie sounds terrific with them. I haven’t thought about the trusted Oreo for a long time. Loved it as a kid. (I loved Hydrox, too!) One of the first desserts at the cafe, other than the infamous brownies, was a Chocolate Chip Cheesecake with an oreo cookie crust. 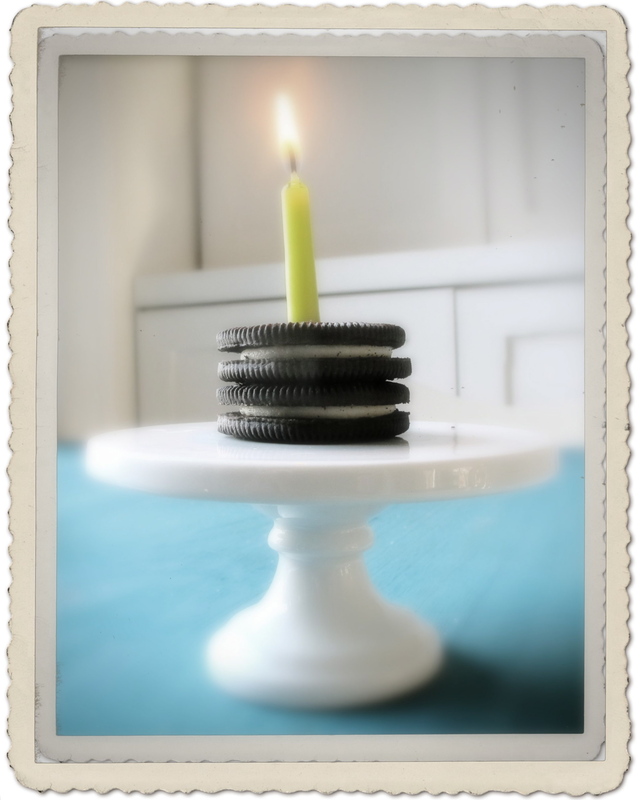 It’s been Years since I made that sinful treat—thanks for the Oreo reminder and sweet post.